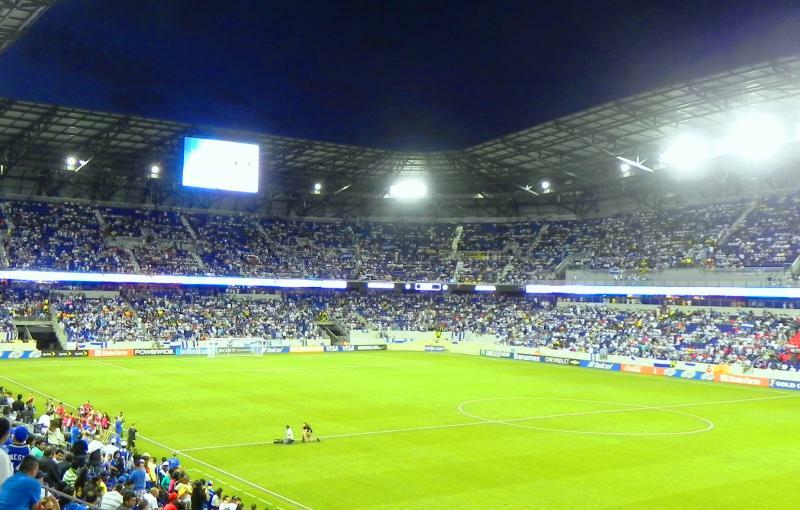 The Red Bull Arena was built to provide the New York Red Bulls with a soccer specific home. 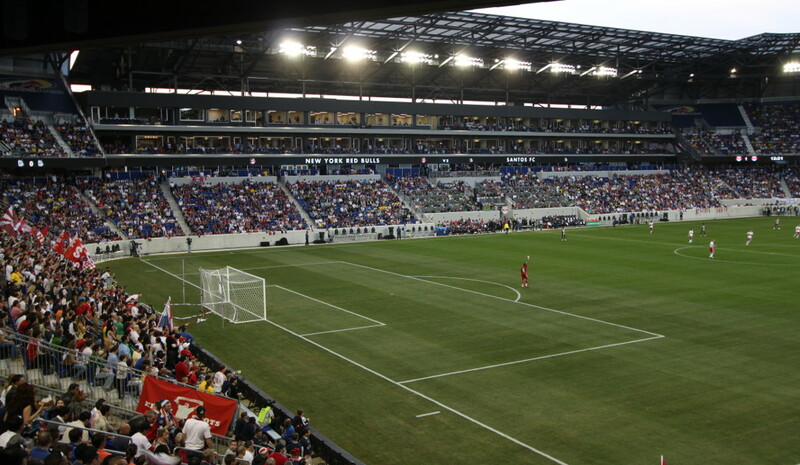 In their first decade of existence, then still called NY/NJ MetroStars, they had played their home matches at the much too large Giants Stadium and plans were therefore made to build a smaller soccer-specific stadium. The stadium was initially designed to have a built-in concert stage, however after the take-over of the club by Red Bull the design got changed to a more typical European-style football stadium. Construction started in 2007, but due to several delays it took until 2010 for the stadium to be completed. 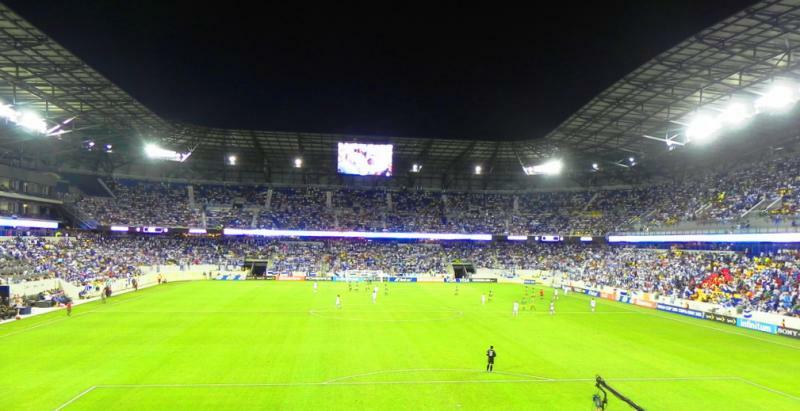 The Red Bull Arena officially opened on 20 March 2010 with a friendly match between the New York Red Bulls and Brazilian side Santos FC (3-1). The stadium is estimated to have cost between $150 and $200 million. The Red Bull Arena is one of three Red Bull Arenas that exist in the world, the other two being in Leipzig and Salzburg. In 2012, the stadium hosted the French Super Cup, contested between French champion Montpellier and Cup winner Olympique Lyonnais (2-2). 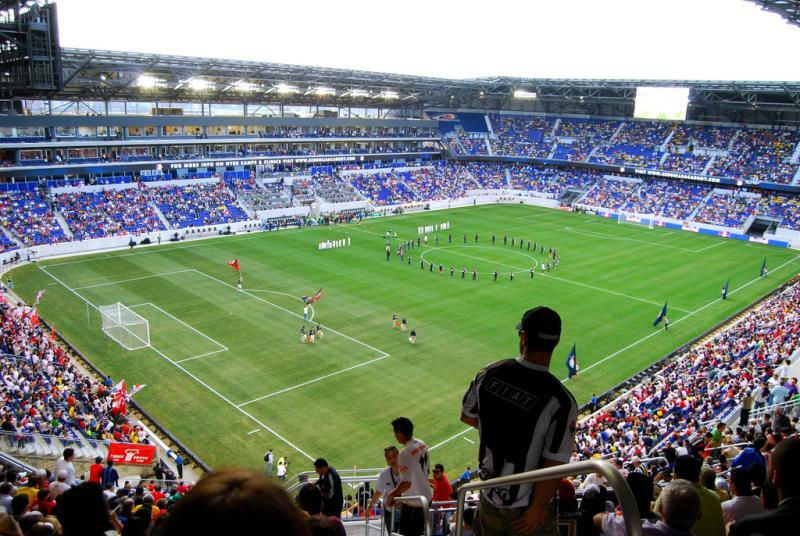 The Red Bull Arena is located in Harrison, New Jersey, a New York suburb located about 8.5 miles west from Manhattan. The stadium lies about 4 miles north of Newark International Airport. If arriving by car from Lower Manhattan via the Holland Tunnel, follow for US 1-9 South. Exit at Raymond Boulevard/Newark and slide right onto Raymond Blvd. Follow for about a mile, and take the ramp right onto Jackson Street and the Passaic river bridge. The stadium will be on the right side of the road after the bridge. If coming from Midtown Manhattan via the Lincoln Tunnel, get on the I-95 South. Exit at 15W toward the I-280. After the toll booths follow for I-280 West. Take exit 16 Harrison, turn right at the first traffic lights (onto South 5th Street), left at the next lights (onto Bergen Street), and another left at the next lights (onto Frank E Rodgers Blvd). Follow until you see the stadium on the left. Finally, if coming from Uptown Manhattan via the George Washington bridge, follow for the I-95 South. Then as above. If using public transport, you can get to the stadium with the PATH commuter train system. Take a train to Newark (red line) from World Trade Center PATH Station. Get off at station Harrison, from where it is a few minutes walking. From 33rd St Station take a train to Journal Square and transfer to a train to Newark. 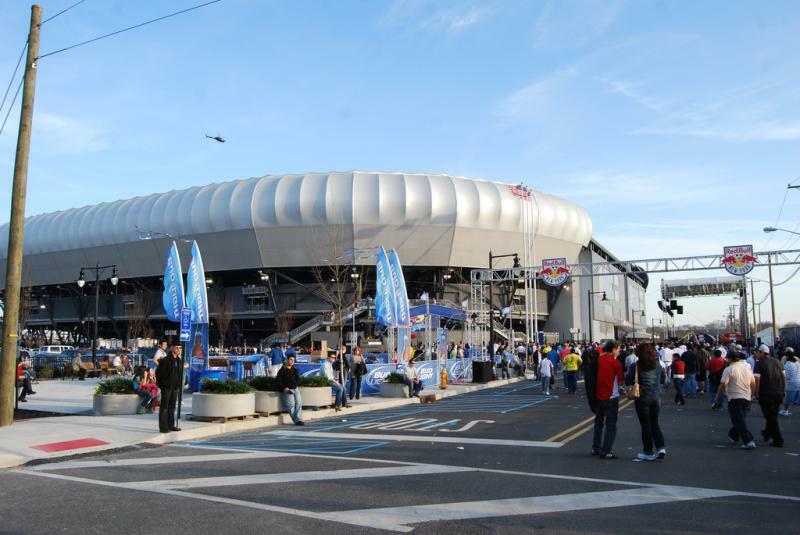 On matchdays, you can also reach the stadium from New York Penn Station. Take a NJ Transit train to either Newark Penn Station, or Newark Broad Street. From there a shuttle service brings you to the Red Bull Arena. Tickets for New York Red Bulls games can be bought online through Ticketmaster, by phone +1.877.727.6223, or at the box office at the Red Bull Arena. If still available, which is generally the case, tickets can also be bought at the arena’s box office on the day of the match. Ticket prices can depend on the opponent, but typically range from $30.00 for a seat at the upper tier in the corners to $155.00 for the best seats at the sides. Email ticketsales@newyorkredbulls.com for more information. Newyorkredbulls.com – Official website of the New York Red Bulls. 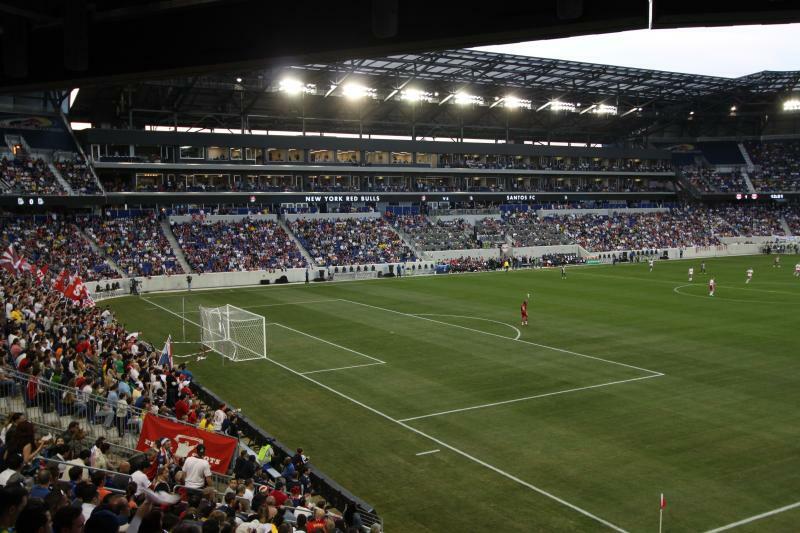 Redbullarena.us – Official website of the Red Bull Arena. Nycgo.com – The official New York City guide to NYC. Panynj.gov – Information about the PATH public transport system. I attended Red Bulls 1-0 win over Orlando City today. The stadium was very easy to reach( path train from World Trade Center and then 5 minutes walking). Ticket bought on ticketmaster below the face value( print at home). The arena Is very nice and modern.